​WHAT WOULD YOU DO IF YOU KNEW THEN, WHAT YOU KNOW NOW? Remember on the playground of your elementary school when someone would yell out, “Reeeeedo!” Or how in Hollywood multiple takes of the same scene are shot in order to select the best one? And now you can also snap endless pictures of yourself before you post the perfect #Selfie you want everyone to “like.” Life however, is not lived in this way. Oftentimes soon after a mistake is made or an experience is lived, we feel we could have done things differently or better. We wish for a redo. But what if you could go back? What if you could take the knowledge you have now and share it with yourself at a younger age? Would you have done things the same? 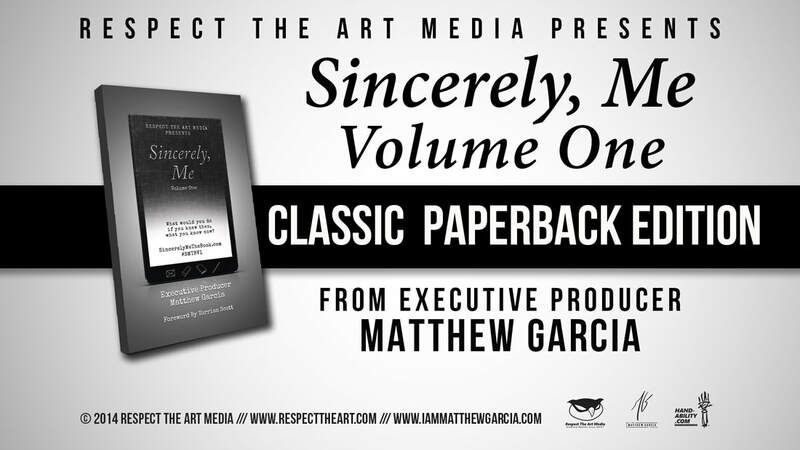 Matthew Garcia, (IAmMatthewGarcia.com) founder and owner of Respect The Art Media (RespectTheArt.com), set out on a quest to collect a series of letters written by one generation to the next generation. Writing to younger versions of themselves, the authors share insights from their life experiences conveyed in a way that the younger versions of themselves would have actually listened. This book is a chance for the current and next generation to read their stories and learn from their trials and victories. © Matthew Garcia. All Rights Reserved. 2013-2019. 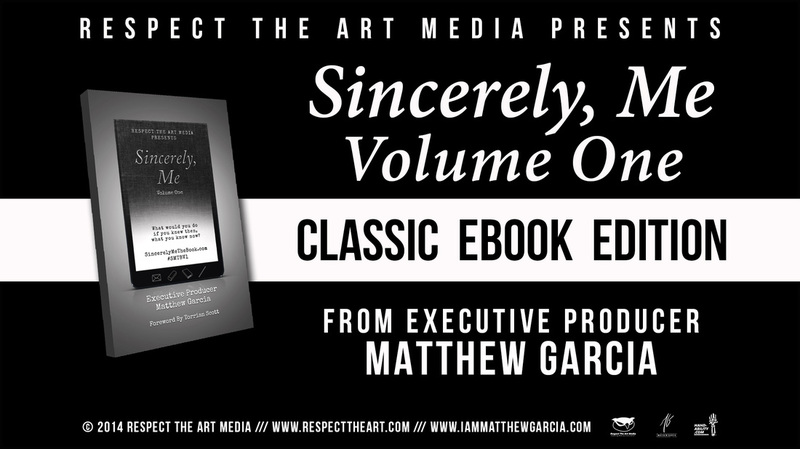 Site Customized By: Hand-Ability for Respect The Art Media.